Known also as the Kelsey Junior press, this is another in the line of Kelsey Excelsior presses. It was still being made in 1925 as it is shown in a catalog of that date. 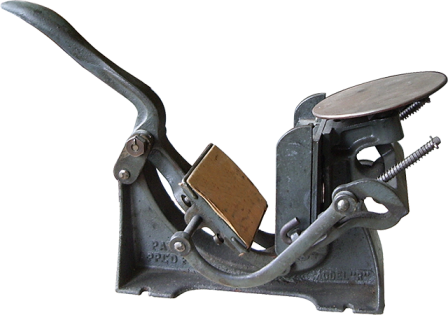 William A. Kelsey began making inexpensive presses for amateurs in 1872, and his Excelsior became the longest lasting press on the market. For more information, see the Excelsior Model P entry.